The photos were posted by his trainer, Aaron Williamson, a former marine who has become a trainer to the stars. 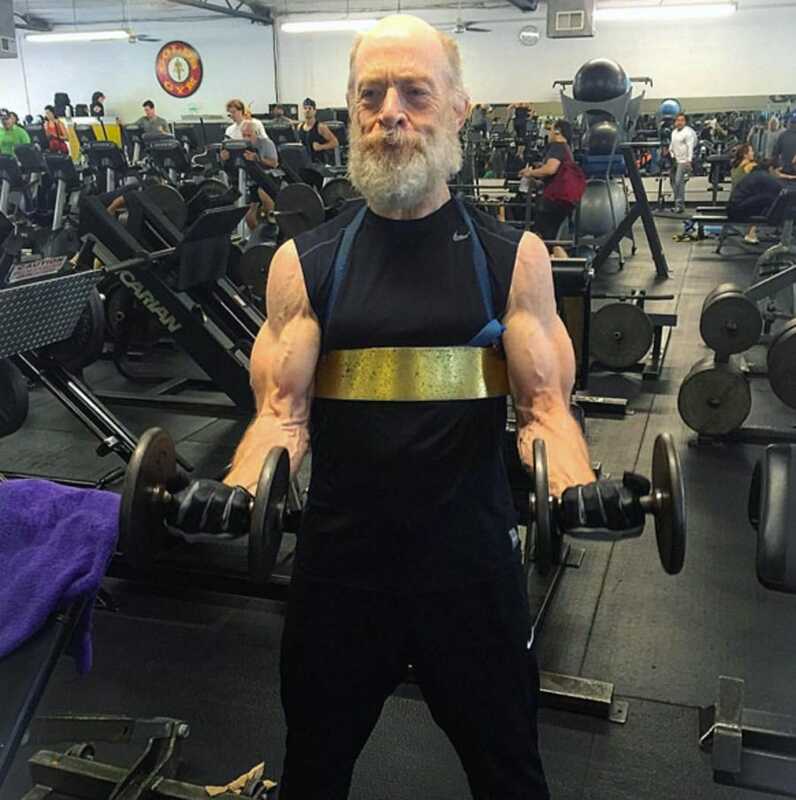 He has been working with the 61-year-old actor, Simmons, off and on since they met on the set of “Terminator Genisys.” Business Insider caught up with Williamson to get the scoop on how Simmons has accomplished his dramatic body transformation. “When we first trained on Terminator, he just wanted to stay healthy and it progressed after people saw him transform for ‘Whiplash,'” he explained. Simmons worked with another trainer, Dana Perri, for his role in “Whiplash,” but since January, Simmons has begun training again with Williamson as well, usually about two to three times a week. So what’s the secret to getting this impressive new physique? “Each session is different, I don’t pre-plan any workout before he gets there,” Williamson said, “We never go in and do the exact same workout, it is always different.” However, he explained, each session follows a relatively similar pattern. “Usually [Simmons] always rides his bike to gym, so he is getting cardio before he gets there and then once we meet up, we do about 15 minutes more of cardio, then jump into some warm-up sets of whatever body part we are working on just to get some blood in the muscle,” the trainer explained. Then, they jump into working sets — though these are more like super-sets. “I’m big on hitting the muscle from as many different angles as you can with as much blood volume as you can,” Williamson explained. All these different angles confuse the muscles, making them work out from a lot of different angles to create definition. “We use different exercises back to back to back … [and] by the end of the set, we are essentially doing 30 to 40 reps.” They are able do so many by using lower weights, he explained, but even with lower weights, they can still get impressive results. 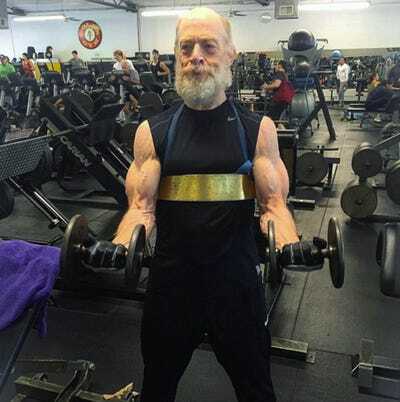 There’s been a lot of speculation that Simmons is working to transform his body for his upcoming role as Commissioner Gordon in the “Justice League” film, but if he is, he hasn’t told his trainer.